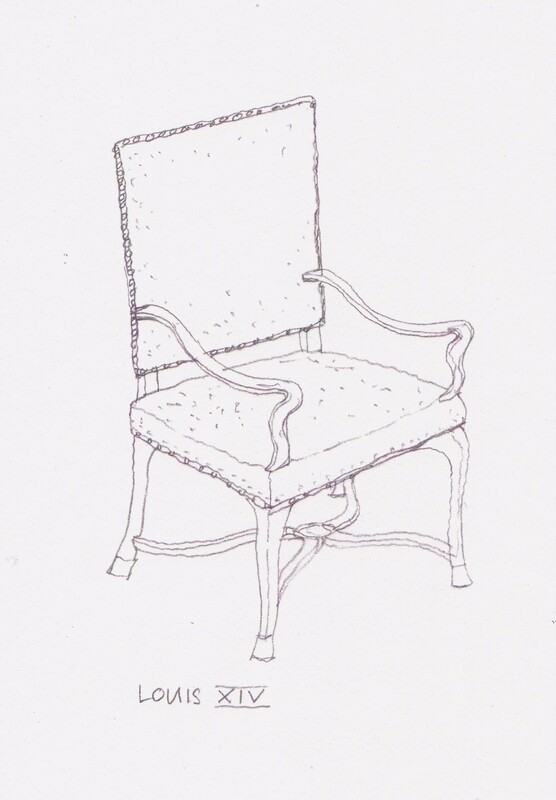 Since my blog is about KPlan Kate and her furniture I thought I should really write one about some furniture! 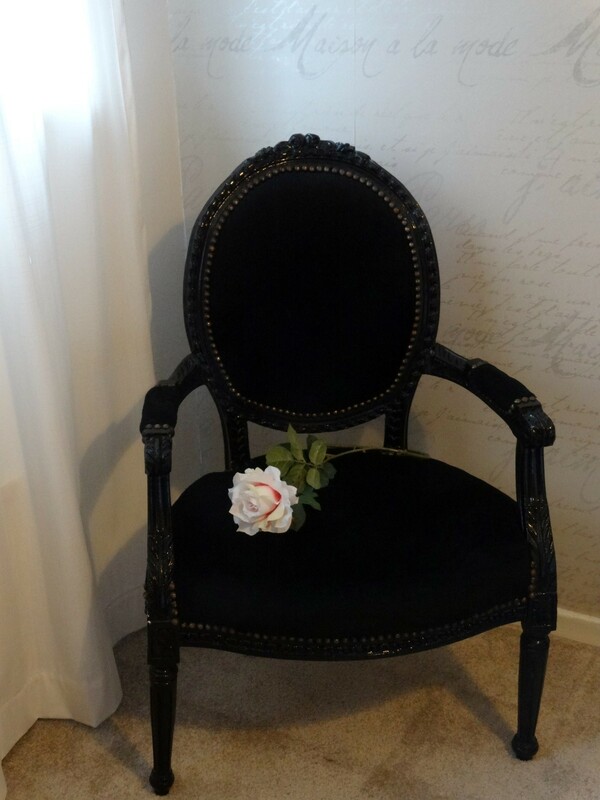 In Belgium I purchased three French Louis style chairs. Now there are four different styles of Louis chair. I will tell you all about them! King Louis XIV reigned from 1643 to 1715 during the Baroque period. These chairs tended to be much larger providing more space for the large puffy dresses worn by the ladies at that time! He also built himself a huge Chateau with huge rooms and so needed large bits of furniture to fill them! 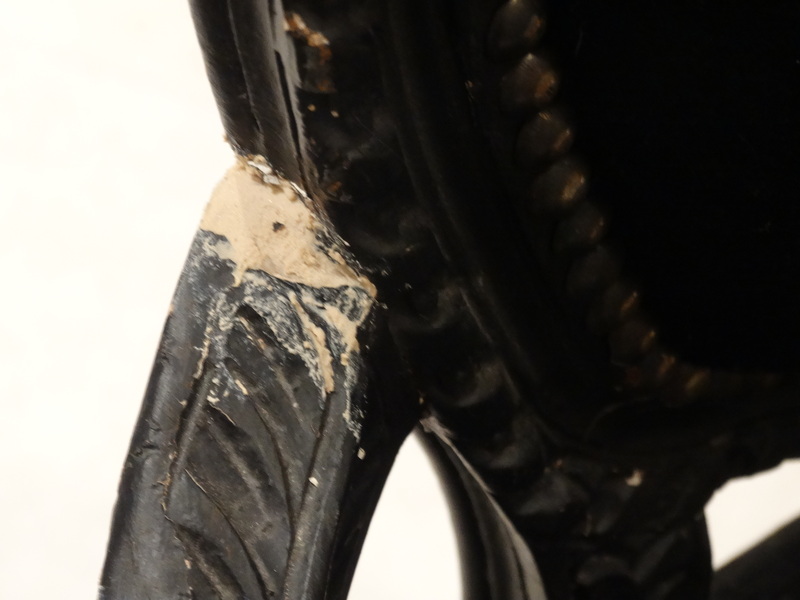 The backs didn’t tend to be attached to the seat of the chairs as they were previously and the arms and legs were very intricately carved and sometimes gilded with bronze or silver. The final Louis was Louis XVI and the style was neoclassical. 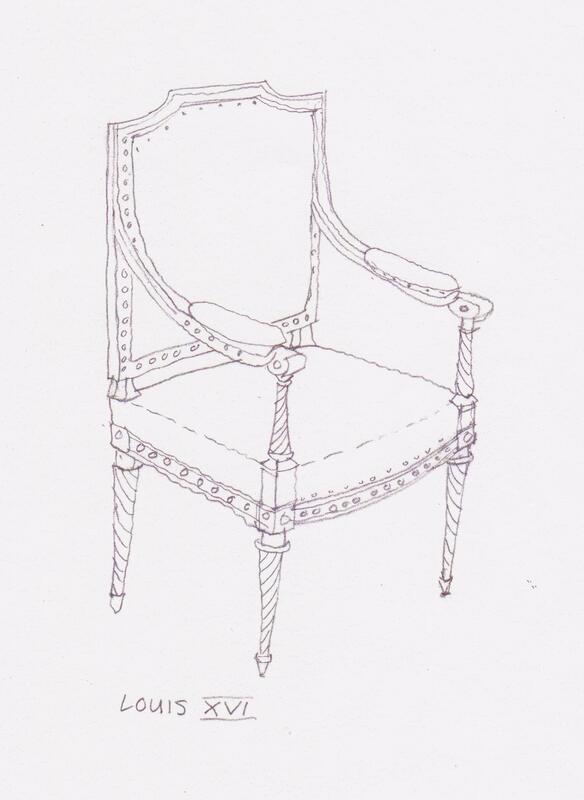 The biggest clue as to whether you have a Louis XVI chair is again in the leg. They always have tapered straight legs. They were trying to recreate the patterns of the ancient Greeks and Romans in these chairs, so they are carved with laurel leaf wreaths and fluted columns. 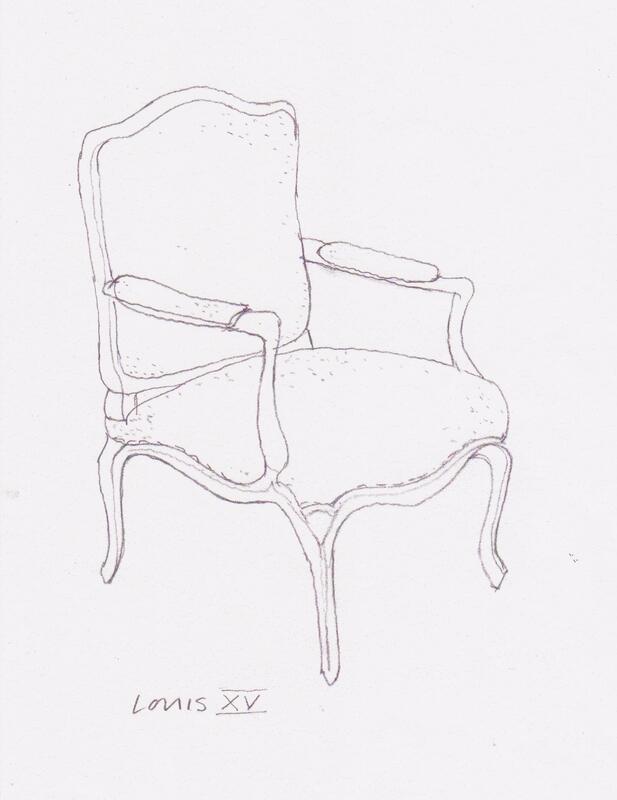 Having looked at hundreds of pictures of Louis style chairs there seem to be a lot of overlaps in the various styles but the biggest clue is always the legs. The three chairs I picked up in Belgium all have straight tapered with laurel leaves carved into the arms. They also have column patterns around the seat. 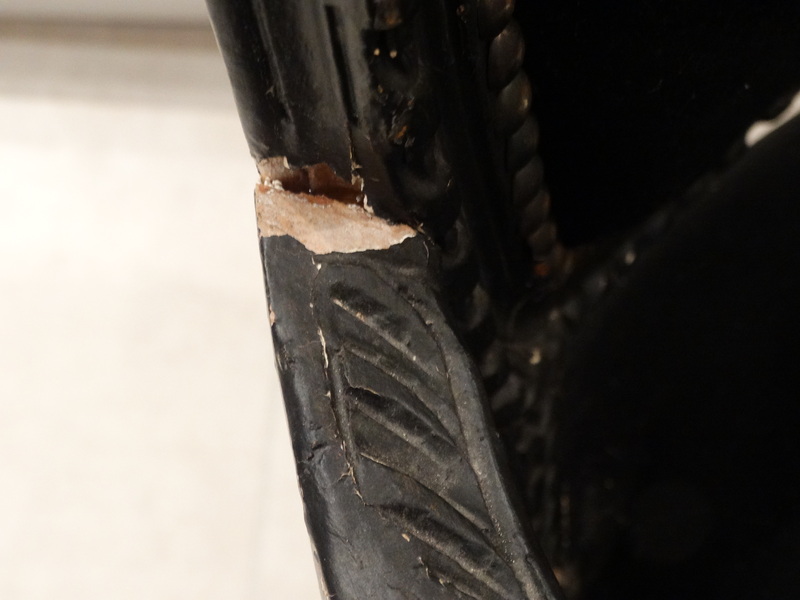 So, I set about restoring the chair I thought would be easiest. The upholstery was in really good condition. It is black velvet. The frame, however was less desirable. It was really chipped and parts had completely crumbled away. I set about filling these crumbled bits with some wood filler and a teaspoon! I always find myself using cutlery for this kind of thing despite possessing a complete plethora of tools. After waiting for the filler to dry I sanded it with some really fine sandpaper, then gave the whole frame a lick of black gloss paint, added some new little pads on the bottom of the legs and the chair looks like new! The other two chairs are currently causing me a lot of grief. 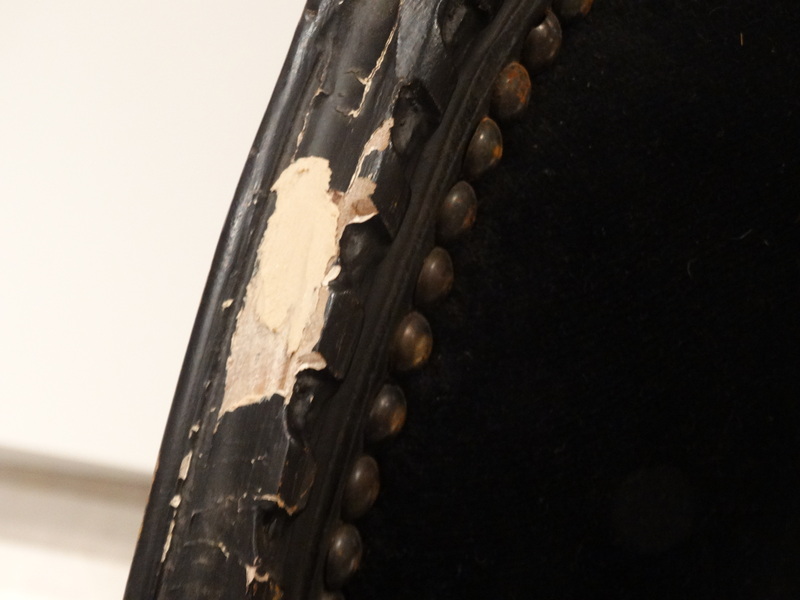 They need reupholstering and the frames need stripping and re-finishing. Before I could even start on all this I’ve had to remove close to a million pins and staples just to remove the old material. I’ve endured stab wounds from the steak knife I’ve been using along with the more conventional tack remover and nausea from the paint stripper fumes! As soon as I have finished I will write a blog all about it! 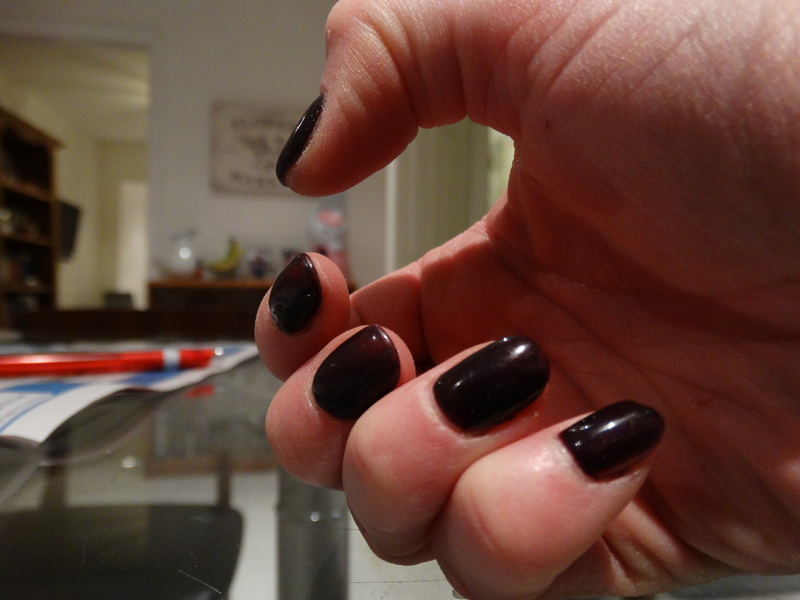 On the plus side-my gel nails withstood the paint stripper!! So, on Thursday KPlan Kate went to the auctions. She attended not only one auction but two! The first was in Brentwood- Brentwood Antique Auctions. 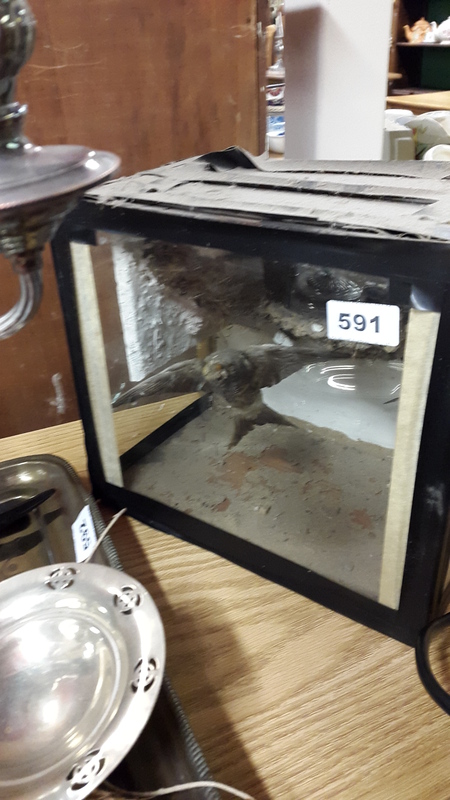 It was in a tiny little wooden shed type thing with all the lots (about 600ish) and the bidders all crammed in. 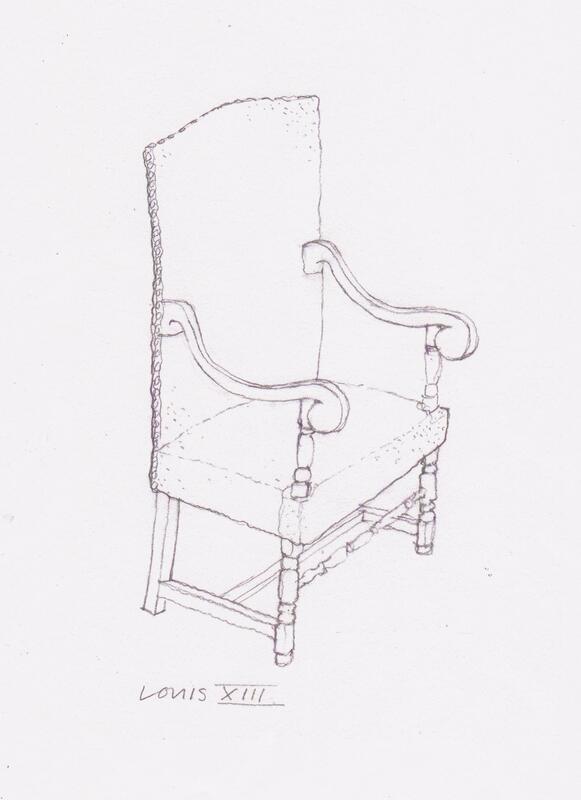 I had seen from the online catalogue that the furniture wasn’t happening until about lot 500. I had no idea how long each lot would take and therefore had no idea how long I’d have to wait until the furniture came up. I was incredibly disappointed to find that the auctioneer spoke at a normal speed- Steve said I’d been confusing antiques auctions with cattle auctions in my head. I’d got this vision of someone speaking at breakneck speed in some kind of tongues. I think this was why I’d always thought that an auction would be a scary place! I’d seen a few bits of interest on the on line catalogue but felt very self conscious trying to squeeze past the bidders, negotiating guide dogs to try to find the bits I’d seen online. I could feel mental daggers being plunged into me! I managed to squeeze to the front to speak to one of the auction staff to see what time he thought the furniture lots might start and he worked out that if there were 120 per hour then it would be about 3pm before they got even close. Perfect! School run time! Obviously there was no point hanging around to see how much the Winnie the Pooh figures went for or the milk glass snuff bottle! The man told me I could bid by phone if I wanted to but because I hadn’t really gotten to look properly at anything I decided against it. I guess it was my own fault since they had a viewing day the day before! One positive note to come out of the Brentwood expedition was that I realised auctions weren’t as scary as I thought they’d be and I probably would be brave enough to bid in the future-so long as the timing doesn’t interfere with the school run! The luxuriously spacious Chalkwell Auctions! From Brentwood we set off for the Chalkwell auctions-which sneakily weren’t in Chalkwell at all- they were in a unit at the Temple Farm Industrial Estate in Southend! They had viewing time up until the auction started at 1pm AND they had coffee! It was a lot more spacious and you could wander round and see all the lots properly. There were about four lots I was interested in but again the furniture didn’t start until about lot 430 which would have been after I’d had to pick the girls up from school. Grrrrrr! But then I spoke to one of the men that worked there and he showed me how to bid on line. I’d assumed it would be like ebay where you put your max bid but it’s NOTHING like ebay! It was sooo clever- I am really amazed by it! You have to register but then you log in to the auction from home and it’s live-you can hear everything and then press the bid button if you want to place a bid and it’s as if you were there! The only downside is you have pay an extra 3% on top of the hammer price and the VAT. I went home and set up an account and saw that it was up to about lot 100. As I left to go on the school run it was on lot 200ish. I was sure I’d miss the one I wanted-lot 432. I dashed to the computer when we got back and I hadn’t missed it! So I dashed upstairs to fold washing then bolted back down to check the bidding- still a few to go, so I ran upstairs and changed my bed, then rushed back to the computer, then sped to the kitchen to make a sausage and tomato pasta sauce, then sped back to the lounge, then sprinted back to the kitchen to put some pasta on, then legged it back to the computer……. we were then just getting to lot 430. I could feel myself getting all het up- not sure why but I felt really nervous and excited as my eagerly awaited lot arrived. 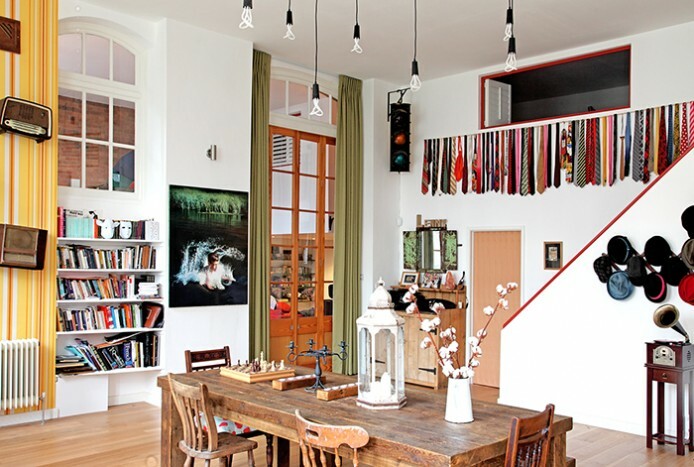 I was after four beech dining chairs to go with the table I bought at the Belgian brocante. And I won! For £5 less than I had decided I would bid up to. Then I got all cocky when 434 came up-the South Amercian hardwood side table I had my eye on and missed out by £10. But as the guy at the auction house said ‘there’s always the next sale’! A Beautiful Dead Scraggy Bird! 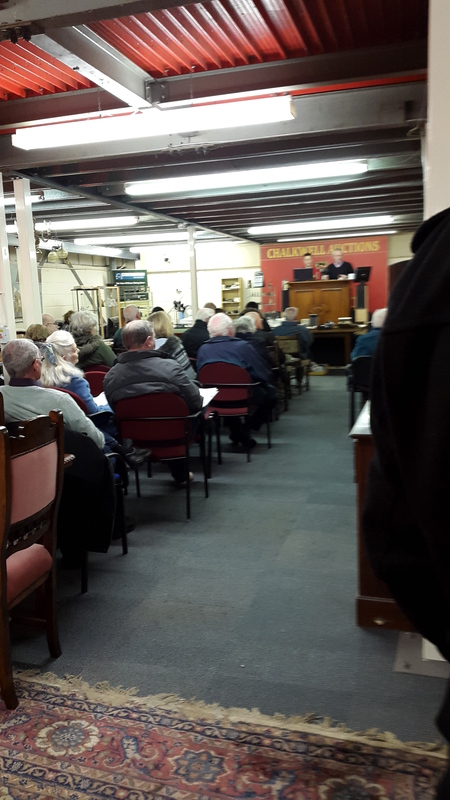 They had absolutely everything you could think of at Chalkwell Auctions-from Versace trays, to a dead scraggy bird in a glass box-I wish I’d seen whether that sold! There were electric guitars that fetched over £600-I guess they must have been pretty special! I was really shocked by how exciting and nail biting I found the whole thing. I was also struck by how I stuck out like a sore thumb after thinking about it afterwards. I didn’t really fit in with the auction demographics. Maybe this is because auctions, running a home and school runs don’t really mix so well!